We’re pleased to announce that our new “version 3” wireless PIR sensors will soon be shipping and our pre-order special offer is now open! We have taken feedback and suggestions from hundreds of users of our PIR v2 to create a new sensor that is more functional and easier to use than ever before. 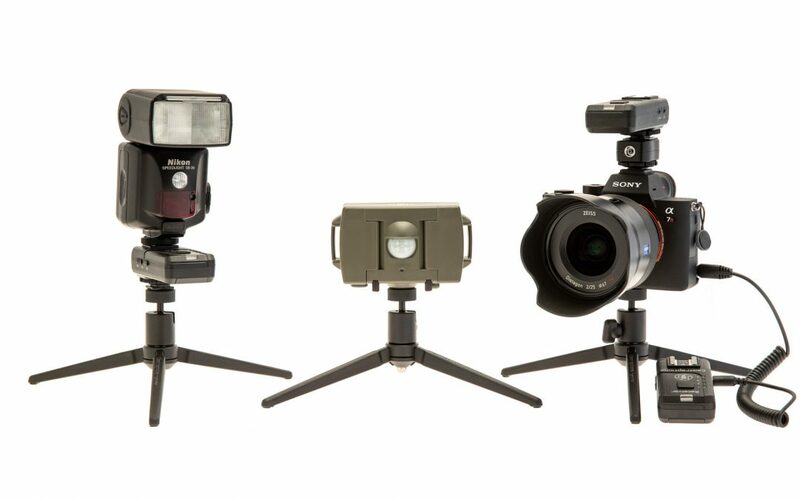 A new integrated transmitter can wirelessly trigger cameras and wake flashes. The transmitter is compatible with existing Camtraptions Wireless Receivers. A new sensitivity algorithm, refined and improved over 18 months of field trials, delivers increased sensitivity, faster response time and fewer false detections. A total of 160 different programs for still and video shooting now provide more options than ever before. New programs include a keep awake feature to prevent equipment sleeping and an option to wake flashes wirelessly before triggering the camera. These new programs expand the range of cameras and flashes that can be used effectively in a camera set-up. What hasn’t changed? Our PIR v3 features the same fantastic weather-proof enclosure, long battery life and ease of use of our PIR v2. The wireless transmitter can also be disabled if you need to deploy a wired set-up. Pre-order now and get our new Wireless PIR v3 plus a free wireless receiver (worth £20) for the same price as our PIR v2. We expect to ship the first batch of PIR v3 pre-orders in early December 2018. The first batch is limited in size so order now to secure your place in the queue. The second batch will ship in January.